WATCH: Pirates of the Caribbean: Dead Men Tell No Tales Extended Trailer | Nerd Much? The newest trailer for the long-awaited sixth Pirates of the Caribbean film arrived last night during the Super Bowl. Up until this point, this movie has been shrouded in mystery as only a cryptic teaser trailer that showed off the newest villain Capitan Salazar (Javier Bardem) was released some months back. Thankfully, we have finally received a better look at Pirates of the Caribbean: Dead Men Tell No Tales, which not only showcased some awesome action, but familiar characters as well. While it’s no surprise that Jack Sparrow (Johnny Depp) is somehow at the center of all this chaos, seeing both Will Turner (Orlando Bloom) and Captain Barbossa (Geoffrey Rush) reprise their roles is a treat. 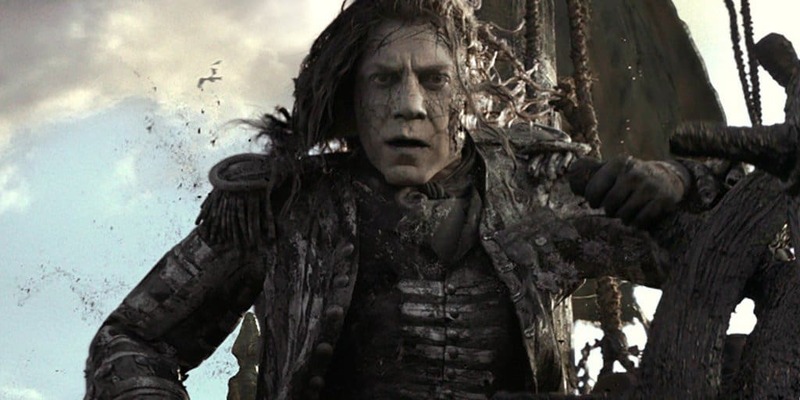 Given Bloom did not return for the last Pirates film, having him once more as the captain of Davy Jones’ crew in Pirates of the Caribbean: Dead Men Tell No Tales was fantastic. There’s a better sense of danger and adventure this time around, as Salazar’s crew is clearly more than just a reskinned version of Barbossa’s from the original movie. Pirates of the Caribbean: Dead Men Tell No Tales is directed by both Joachim Ronning and Espen Sandberg who are both new to this franchise. However, the duo has worked together before, with their most notable film being the adventure film Kon-Tiki. It’s clear that both men have an understanding for what direction this series needs to go, whether it will transfer properly on screen is still hard to say. Pirates of the Caribbean: Dead Men Tell No Tales is set to release worldwide on May 26, 2017.